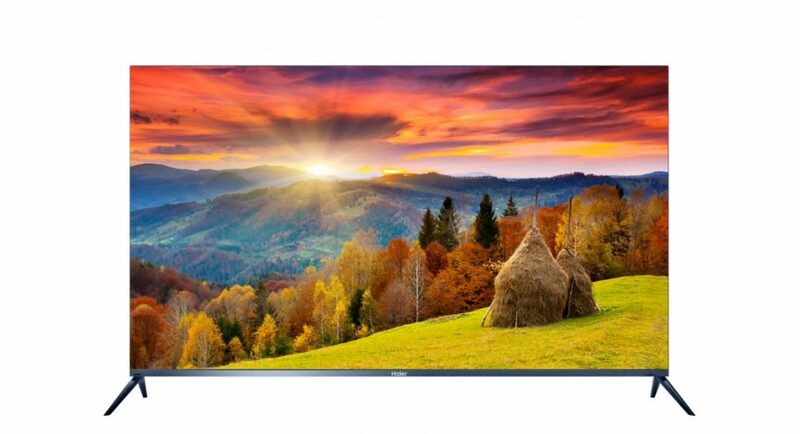 Chinese consumer electronics and home appliances maker Haier has today launched its Quantum Dot 4K Slim LED and Quantum Dot 4K Curved LED televisions in India. The new offerings from Haier are available at a starting price of Rs 2,09,990 and come with advanced features like 4K UHD and HDR display. The new range of televisions come in Slim and Curved models and both these variants are available in two sizes – 55-inch and 65 inch. Haier’s new televisions are powered by Android operating system and will come with all the features that a Smart TV has. AS we mentioned earlier, the televisions have a 4K Ultra High Definition resolution of 3840 x 2160 pixels. The televisions come with Quantum Dot display technology with HDR that is said to deliver perfect colours. With this technology onboard, the televisions from Haier produce more vibrant colours of the images they project. If you want a nearly bezel-less experience, you should opt for the Slim (X7000QUA) model, but you should choose the Curved (Q9800QUAG) model if you are looking for a greater sense of immersion. The new televisions by Haier come with a built-in Wi-Fi that can be used to connect them to the internet. You can access a number of apps and stream content online by doing this. The new range of televisions also come with a Smart Share feature, using which one can connect their smartphone to their TV wirelessly. So any content that you have on your mobile phone like photos, videos, etc can be viewed on your television by connecting the two using Smart Share feature. There is also a Dolby Decoder and a Smart Remote that comes with a QWERTY keypad. Coming to the price of Haier Quantum Dot 4K LED TVs in India, the 55-inch Curved model costs Rs 2,09,990, while the 55-inch Slim variant is priced at Rs 2,19,990. The 65-inch Curved model is priced at Rs 2,59,990 and the 65-inch Slim version can be picked up for 2,69,990.